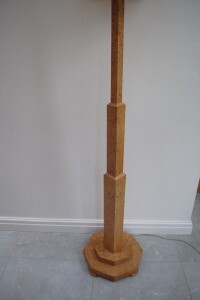 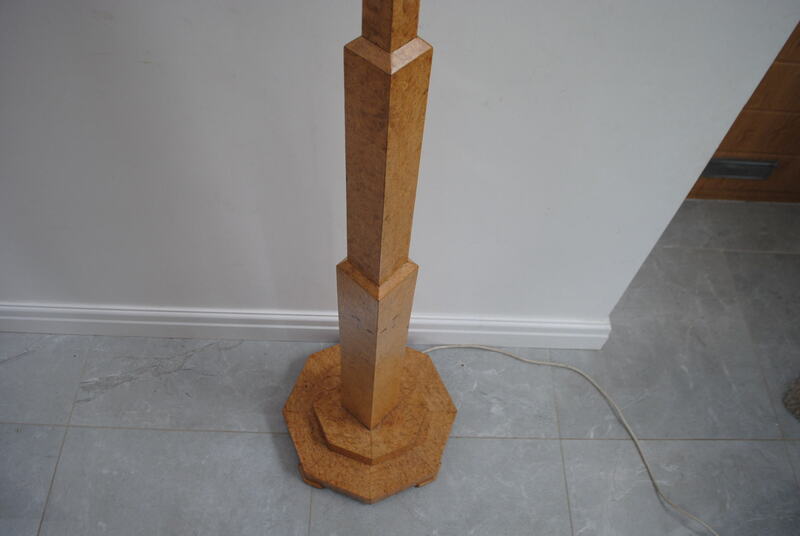 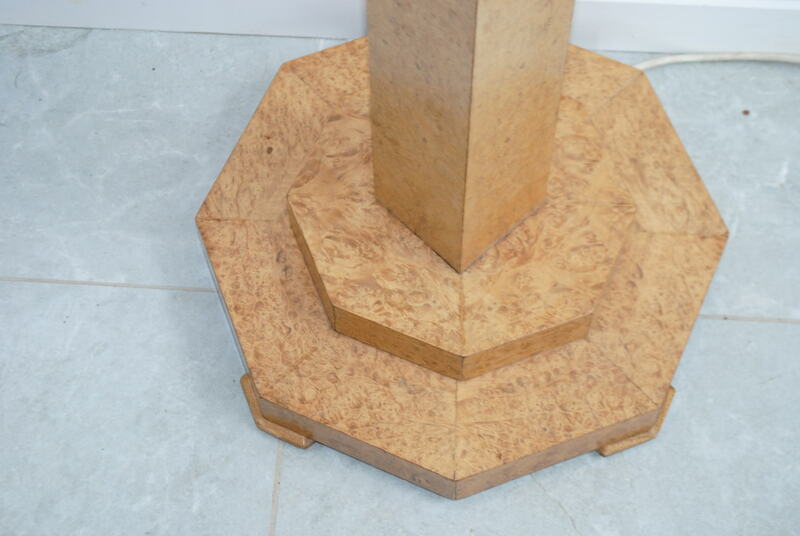 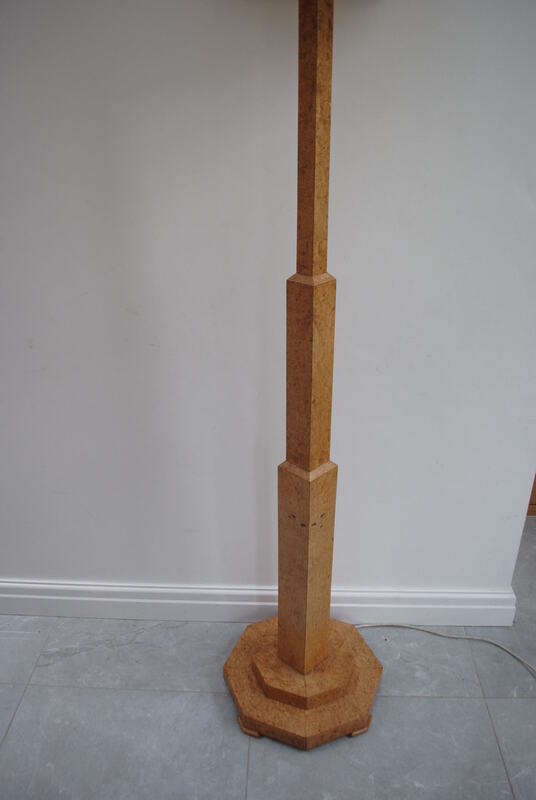 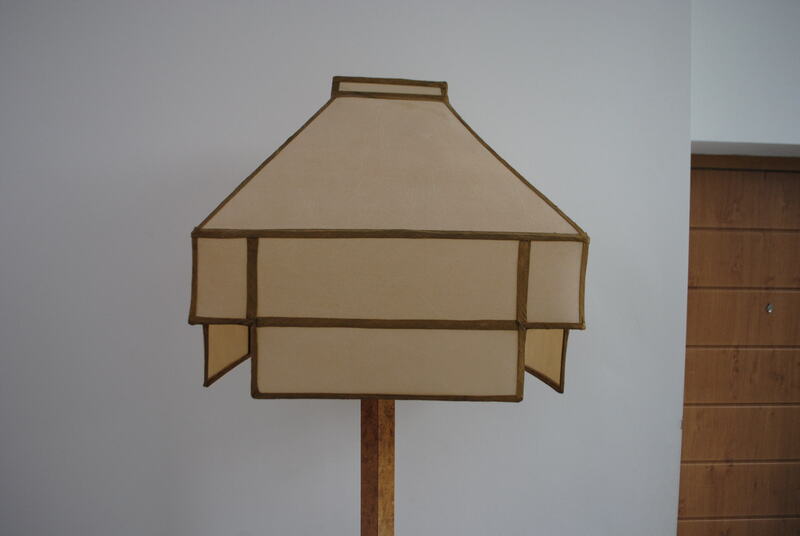 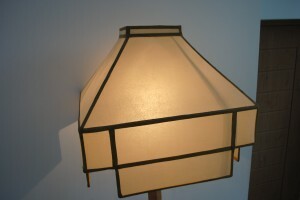 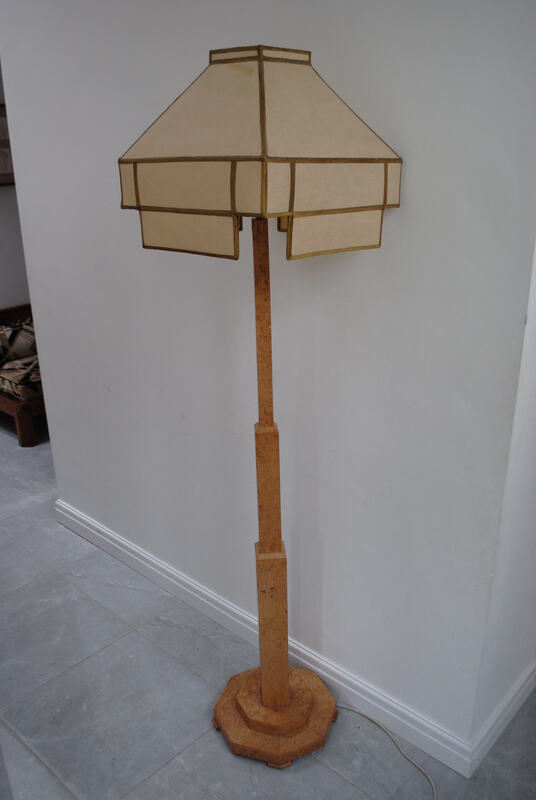 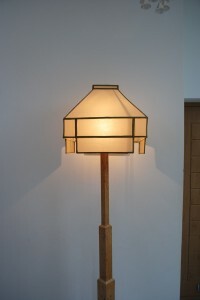 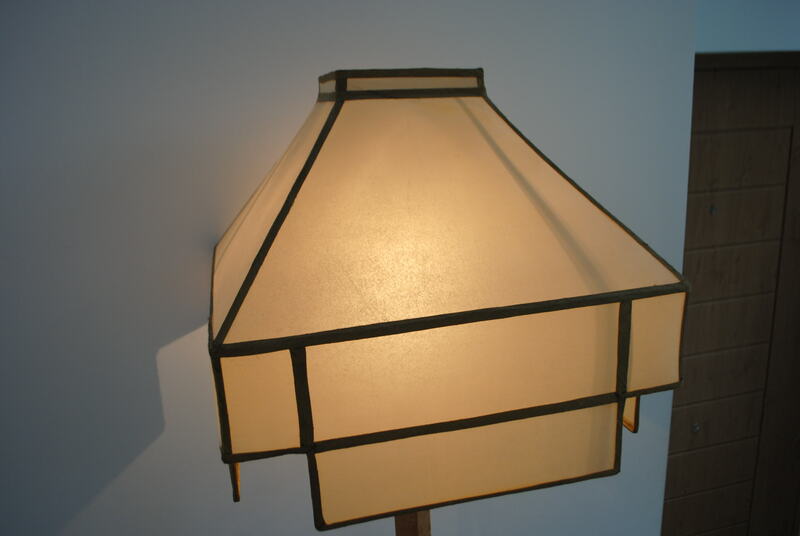 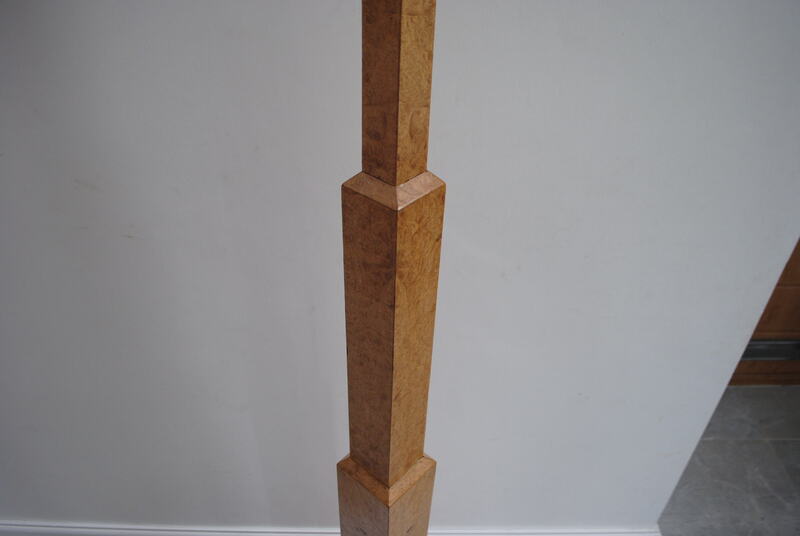 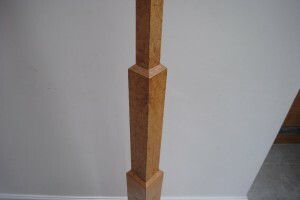 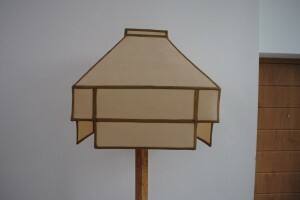 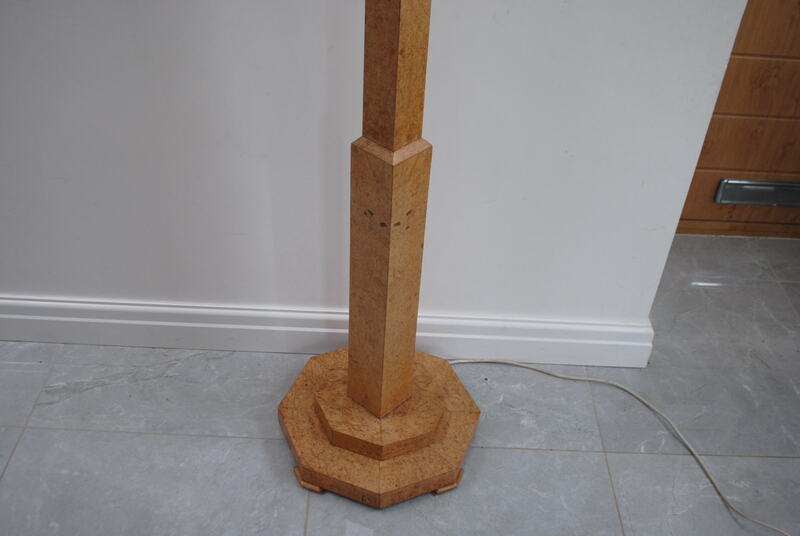 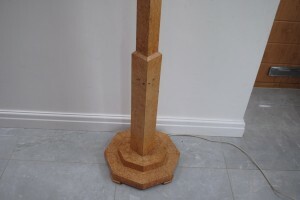 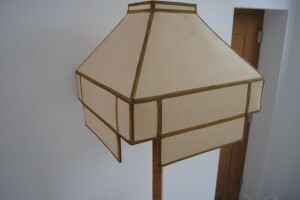 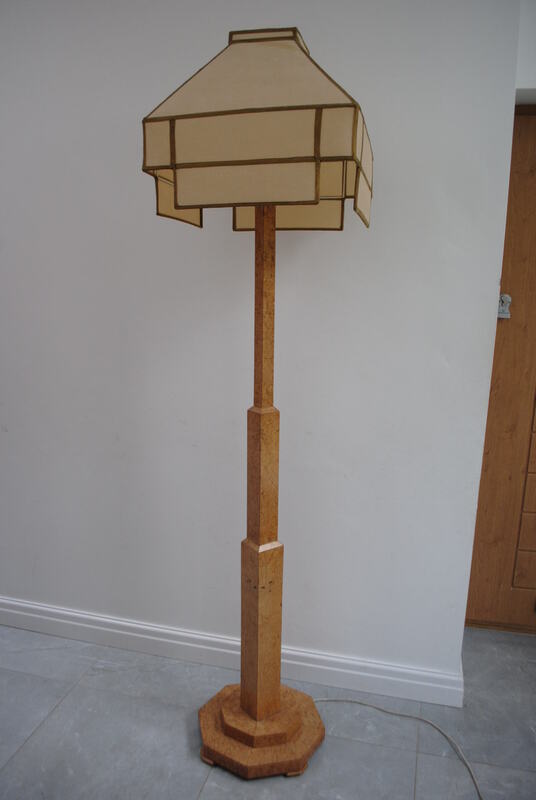 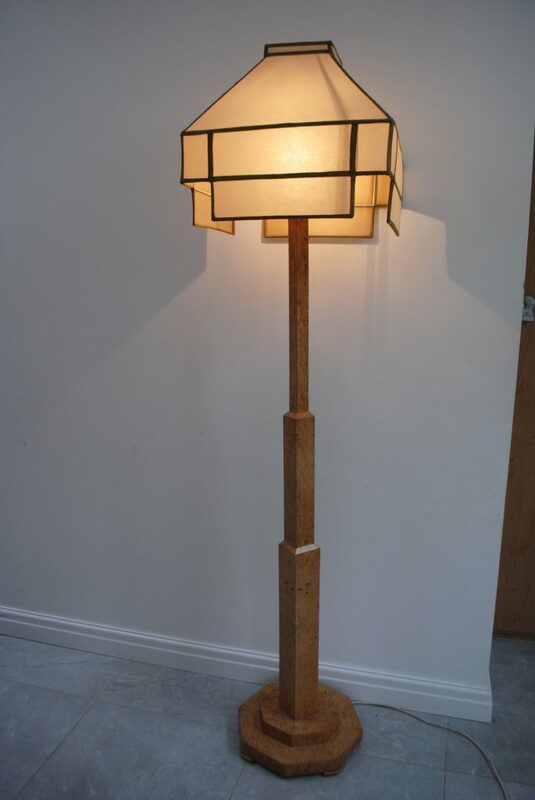 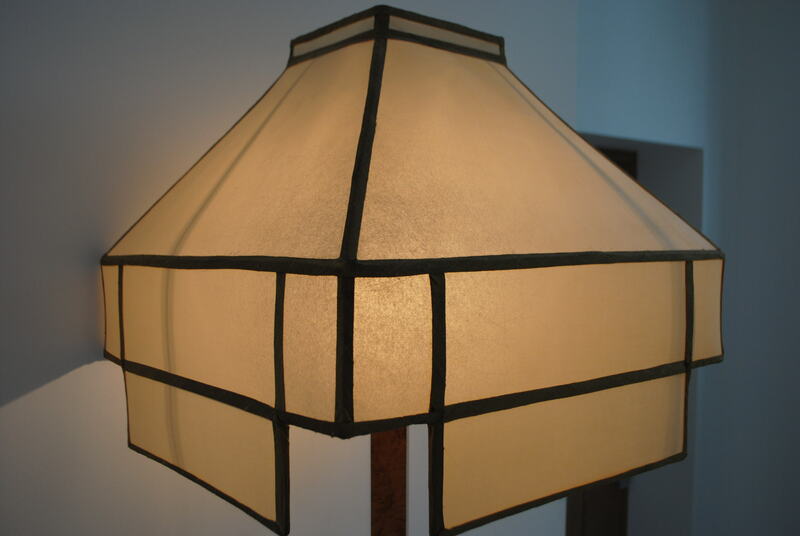 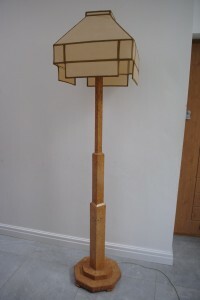 A rare original art deco maple standard lamp with great geometric designs and a very imposing shade. 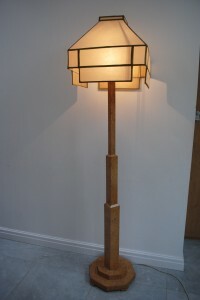 A fantastic lamp in very good condition and ready for delivery. 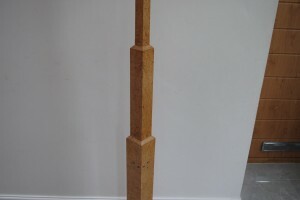 For more details please call 01257 473688.